“We have seen this beautiful piece of the planet called Sonoma County be governed by forces and economic theories that extract resources from the earth while extracting labor and livelihood from the people who create its beauty. We have seen our home become a playground for the rich. Since October of 2017, we have seen our neighbors evacuated from their homes, some losing everything to climate-change induced fires. Debris removal, including toxic ash are now part of the landscape. Rents increase and evictions are on the rise, as the amount of housing available has shrunk. Fear is on the rise too, as Immigration and Customs Enforcement (ICE) prowl the streets, separating families in the middle of the night. We have seen this beautiful piece of the planet called Sonoma County be governed by forces and economic theories that extract resources from the earth while extracting labor and livelihood from the people who create its beauty. We have seen our home become a playground for the rich. We are in a social-political-ecological crisis. It is within this context that the North Bay Organizing Project has launched a campaign for Community Rights and the Rights of Nature. This campaign recognizes ecosystems and natural communities as having intrinsic and legal rights to exist, thrive, regenerate and evolve. It also asserts that the communities living in Sonoma County have the right to deep democracy, and to self governance. We believe that it is time to embrace a different perspective, a holistic worldview based on ancient wisdom that sees Earth as a living entity that we all are part of. The rights of nature to exist and flourish cannot be separated from the rights of the people to exist and flourish; we are one. We ARE nature and thus, placing value in protecting nature means protecting ourselves and our collective future/existence. 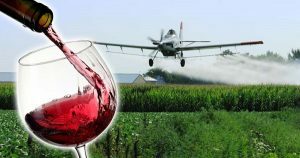 Saying no to toxic pesticides in agriculture does not threaten winemaking in Sonoma County. Reigning in the power of big business to democratic control is not a threat to a vibrant local economy. Movement Rights is partnering with NBOP in this work. 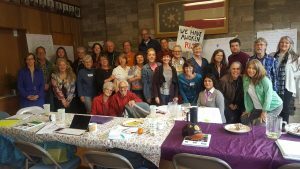 In 2017 we held Community Rights in Action trainings and Movement Rights provided legal support to draft a Community Bill of Rights that would have recognized the rights of the Sonoma ecosystem to be free from industrial pesticide use. The process was delayed by the fire, but residents submitted the proposed ordinance to be placed on the ballot. In violation of election law, the County Attorney refused to certify the ordinance, and the community and Movement Rights went to court to fight for the right to vote. The judge refused to hear the case, and made a ruling from the bench, which created further delays. 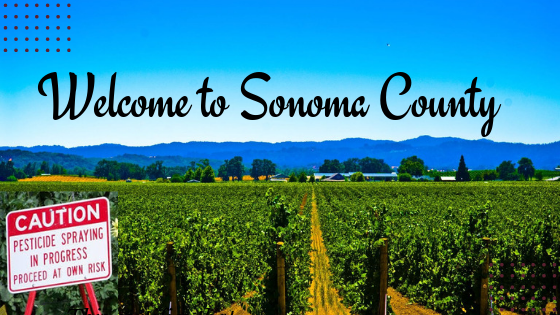 The legal shenanigans from the County have only fueled residents of Sonoma County to fight for the right to make critical decisions that affect their health and safety. 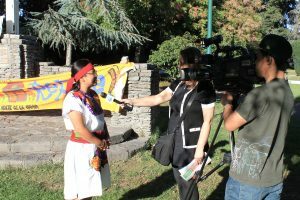 The campaign has come back stronger, re-centering the heart of the campaign around those most affected: migrant farm-workers, Indigenous tribes, youth and small farmers. The year ahead will be critical and we will need everyone to join us. This campaign will be in English and Spanish, we will need volunteer organizers and translators, writers and more. 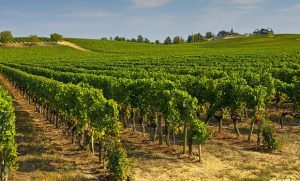 rights-based campaign that will challenge the power of one of the largest agribusiness industries, “Big Wine.” For more information to to get involved, please contact Annie at North Bay Organizing Project.